Got 2nd place at GWS National! 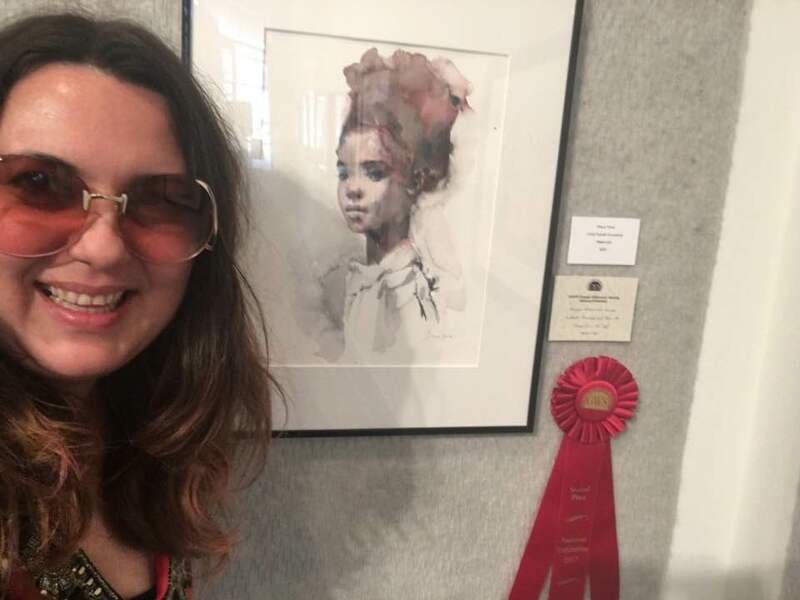 My painting “Child portrait – innocence” won second place at the GA Watercolor Society National! What a privilege to be in the same exhibit with amazing artists from all over US! I was blown away seeing in person all the art juried in, and even more humbled that my work was awarded 2nd place from this selection by the extraordinary artist & judge Feeling Lin. I absolutely loved the Roush Family Gallery space at the Carrollton Cultural Arts Center, it was immensely spacious! Proudly powered by WordPress | All images subject to copyright by ArtByDianaToma.